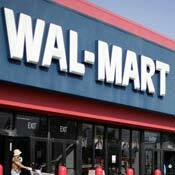 On Thanksgiving November 27, 2008 a 34 year old WAL-MART employee, Jdimytai Damour was trampled by an out of control mob that stampeded over him in a blind frenzy for bargains. Meanwhile, eight hundred million global citizens go hungry every day or live in danger of it. Americans looking for work and many of those who come to our teeming shores looking for the promise of America will likely run up against the economic quagmire that has and continues to impact so many Americans. Here in the wealthiest nation with the highest percentage of the wealthiest corporations and individuals in the world, we have yet to effectively tackle poverty There are many simple things that we can do to make things easier for others, some as simple as giving a buck now and then to the people who do what might be thought of as begging but might also be seen as working the streets, subway or train platform. Remember, begging is a hell of a way to make ends meet. And so why not contribute to the level of your ability and make sure that you contribute to or do service for the charities that move you. And for your own well being remember that old saying, ‘Charity begins at home.’ Take care of yourself first and then be generous and creative on behalf of others. Because of my involvement in AIDS, I frequently read the obituaries. One day I came upon one about Mary Lou Lollis who died at age 103. She had been a storyteller and much loved friend of her Harlem community. The obituary spoke of how she had been born before radio and yet embraced the vast changes that occurred in her lifetime. It also said that though she was never rich but “She was generous of time and spirit.” In the Depression, she baked pies, giving them to families in her neighborhood, which was her way to do what she could. Among her pie recipients were the musicians who played the blues for catharsis and jazz for hope and like Mrs. Lollis, did what they could with their music to make a bad time better. Fats Waller dubbed Mrs. Lollis the Pie Lady. As a storyteller she kept the tales of a happier, healthier time alive for the generations to follow. “People of all ages said they learned a lot about 20th century history listening to Mrs. Lollis, but it was the children whose eyes would get the widest and who would listen the hardest when Mrs. Lollis stood up and started telling stories about how things were in the old days.” She was described as always caring and always willing to be of service. The story also noted that she had to slow down a little when she hit 101. I’ve adopted her as my role model. This is the true joy in life, the being used for a purpose recognized by yourself as a mighty one; the being a force of nature instead of a feverish selfish little clod of ailments and grievances complaining that the world will not devote itself to making you happy. I am of the opinion that my life belongs to the whole community and as long as I live, it is my privilege to do for it whatever I can. I want to be thoroughly used up when I die, for the harder I work, the more I live. I rejoice in life for its own sake. Life is no "Brief candle" to me. It is a sort of splendid torch which I have got hold of for the moment and I want to make it burn as brightly as possible before handing it on to future generations. 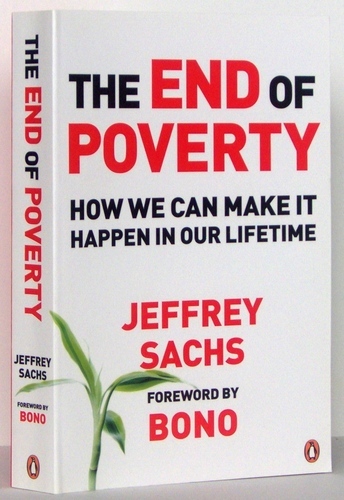 Read “The End of Poverty” by Jeffrey Sachs, which offers a brilliant, compassionate and doable plan to accomplish the end of poverty. Contact anyone who represents you from your local government to the President and ask them to read this book. Ask everyone you know to read it and write to their representatives. These are difficult times, but there are possibilities available. brilliant post! the last sentence should be on everyone's notice board.